In the final days of 2018, the Democratic Republic of Congo (DRC) staged a historic presidential election after a series of delays postponed the vote for more than two years. The country was due to vote for a new president in 2016 at the end of Joseph Kabila’s second term in power but the electoral commission insisted it wasn’t ready to hold a free and fair election. After more than two years of preparation, the election it managed to hold was more farcical than anyone could have imagined – for reasons nobody would have predicted. At a glance, the DRC’s 2018 election might look like a political breakthrough for the country. This is the first time the central African nation has peacefully handed over power since it became an independent country in 1960. That alone should be reason enough to celebrate. However, the fact that an opposition candidate won the election should have been the greatest event in the country’s democratic history. When Félix Tshisekedi was announced the winner of December’s presidential election, it meant the ruling coalition would hand over power for the first time – precisely the kind of change so many people in the DRC had been fighting for – quite literally at times – in recent years. Except it’s not looking like the change they actually voted for following claims the election was rigged in favour of Tshisekedi after he struck a deal in private with outgoing president Joseph Kabila. Worse still for anyone expecting political change the DRC, the coalition group supporting Kabila – the one that supposedly handed over power with Tshisekedi’s election victory – won the parliamentary majority, greatly limiting the new president’s powers. 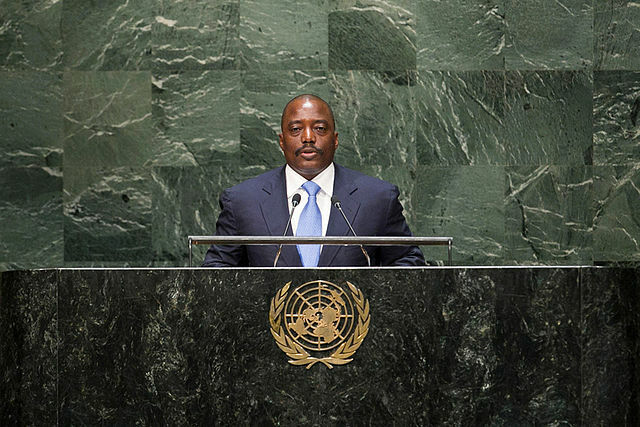 Doubts over the legitimacy of the DRC’s election had been looming long before the vote itself but most of the suspicion anticipated an unlikely victory for Kabila’s ruling coalition. It would have been an incredibly difficult plan to execute, though – painfully obvious that the FFC’s little-known Emmanuel Ramazani Shadary could never win the election outright. Despite the implausibility of a Shadary victory, when the DRC’s electoral commission announced Félix Tshisekedi as the winner, there was genuine shock – both inside and outside of the country. Such lack of faith existed in the electoral system running up to the vote that, no matter how ridiculous a victory for the ruling coalition would have been, any alternative seemed even more unlikely. After more than two years of delays, the DRC had held a relatively peaceful election and the ruling coalition didn’t rig the result in its favour. However, doubts quickly emerged over the legitimacy of the result with opposition rival Martin Falayu’s camp claiming they won by an overwhelming majority. Rival groups claiming foul play is nothing unusual in this business but Falayu’s claims appeared to be backed up by the country’s highly-influential Catholic Church, which stationed 40,000 election monitors to ensure the vote was carried out fairly. Shortly after the electoral commission announced Tshisekedi as the winner, the church said the wrong candidate had been named. Falayu’s camp said he won the election with roughly 60% of the total vote and the church’s own data pointed to similar figures. All that seems to have been forgotten now, though. Falayu is the only one still talking about election fraud. The church has stepped back from questioning the election result and the international community, which originally demanded the DRC’s electoral commission publicly release its election data, has filed behind Tshisekedi in support. Whether they actually voted for him or not, the people of the DRC have their new president in Félix Tshisekedi. If the DRC’s ruling coalition engineered an election win for Félix Tshisekedi, it was a cunning political move and one that appears to have worked. Simply rigging the vote in favour of its own candidate would have left nobody guessing; election fraud would be the only conclusion. With an opposition candidate winning the election, claims of foul play have been relatively easy for the electoral commission to brush aside. It simply refused to publish its election data, making it impossible to prove the legitimacy of the outcome one way for another. It turns out this was enough to make the result stand. History will forget the claims of election fraud and the DRC’s 2018 presidential election will be remembered as the country’s first peaceful transition of power. Records will show the people voted for their new leader, exercising their democratic right to oust the ruling coalition via the ballot box. The reality is shaping up to be very different, though – regardless of whether the vote was rigged in favour of Tshisekedi. Even if he was voted in “freely and fairly”, the former ruling coalition led by Kabila for so many years still won the parliamentary majority in the vote, according to results published by the electoral commission. The FCC won 337 of 500 seats in the vote, giving it a significant majority in a country where the president’s power can be significantly limited by parliament. The result means Félix Tshisekedi will have to keep members of the FCC on-side or risk becoming a lame duck president. The result also means Tshisekedi has to choose a prime minister from the FCC’s ranks, which will further dilute his political influence. Whether Tshisekedi struck a power-sharing deal with Kabila in exchange for an election win or not, this is essentially the situation the DRC finds itself in now. The country has a new president but he’s one that will find it incredibly difficult to shake off the influence of his predecessor and deliver the political change people voted for.